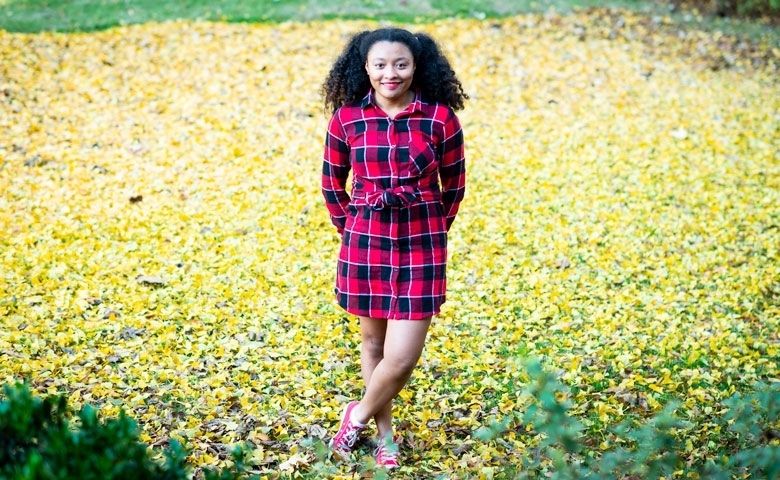 Embry scholar Nikyra Jenkins has known she wanted to attend UM since seventh grade. It has been 20 years since University of Mississippi student-athlete Joey Embry tragically died in a drowning accident, yet his legacy is continually expanded among students whose scholarships bear his name. The same can be said about Nikyra Jenkins, the 2018 recipient of the Joey Embry Memorial Scholarship. Growing up in the small town of Oakland, Mississippi, Jenkins said she often faced adversity but never stopped pursuing her dreams. In high school, Jenkins gave her all — her hard-working, determined personality fueling her endeavors. She was a cheerleader, senior class vice president and Beta Club member. Jenkins, who knew she wanted to attend Ole Miss since seventh grade, was elated when she was awarded the Joey Embry Memorial Scholarship. Gwen Embry, Joey Embry’s mother, and her husband, Bill, are pleased that the scholarship was awarded to someone who obviously shares their son’s spirit. “Joey gave everything for there to be this scholarship and we want to make sure it’s used to the best of its ability — that the students will devote their time and efforts to school and keep their priorities in the right direction,” she said. Jenkins said upon receiving the scholarship, she researched its namesake and found his story to be inspiring and moving. During high school football camps under sun-drenched skies on the Oxford campus, Joey Embry decided he wanted to be an Ole Miss Rebel. In 1995, at the end of his stellar prep career at Bruce (Miss.) High School, the scholarship offer came. Embry drowned May 19, 1998, in a tragic accident just months before he was expected to be a major contributor on the Rebel offensive line. His Rebel teammates dedicated the 1998 season to his memory and wore Embry’s name and number on their helmets. Embry left a strong impression on the Ole Miss community, providing leadership both on and off the playing field. As a business administration major, he excelled academically, making the UMAA Honor Roll and the SEC Academic Honor Roll. He also was a team leader in the Fellowship of Christian Athletes. The Embry Endowment awards two scholarships annually to one student each from Calhoun and Yalobusha counties. Those interested in applying for the scholarship should talk with their respective high school guidance counselors. Individuals and organizations can make gifts to the Joey Embry Memorial Scholarship Fund by sending a check with the fund noted in the memo line to the University of Mississippi Foundation, 406 University Ave., Oxford, MS 38655; or by visiting www.umfoundation.com/makeagift.